--We make high quality wedding accessories,and we truly believe that our product can enhance your wedding. 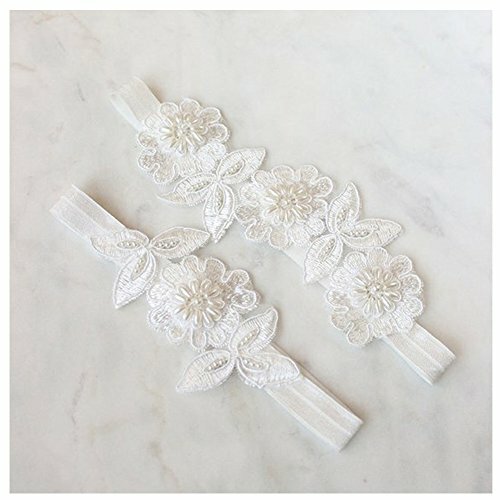 -- and snug fit.We will adjust the toss garter according to the measurement of your keepsake garter. --Color might be slightly different due to the color calibration of each individual monitor. --Please allow the tinny measuring deviation due to manual measurement. --Thanks for your understanding and enjoy your shopping moment! E:5 Kinds of sizes can choose ,don't warry about the size:S(16"-17") ,M(18"-19"),L(20"-21"),XL(22"-23"),XXL(24"-25").